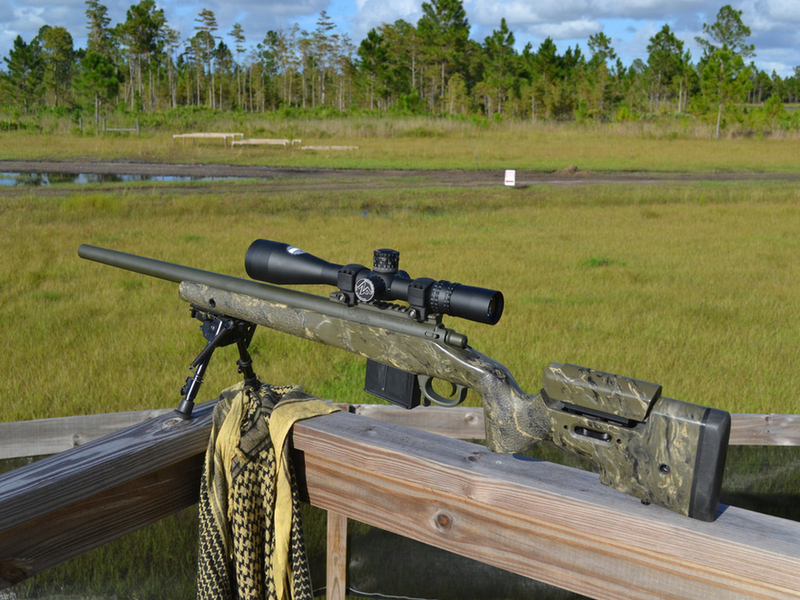 The M40 is still top dog in regards to preferred tactical and precision rifles. It has progressed since the original wooden stocked rifles were fielded in Vietnam. The custom M40 (also available in Magnum Calibers) combines modern technology with old world hand-built meticulous perfection. Only the highest quality components are used in our builds. We cut no corners, and spare no expense in ensuring the final result exceeds both your, and our demanding expectations. Combining old school hand built techniques with modern materials, we have achieved a level of perfection that is impossible in a production rifle. 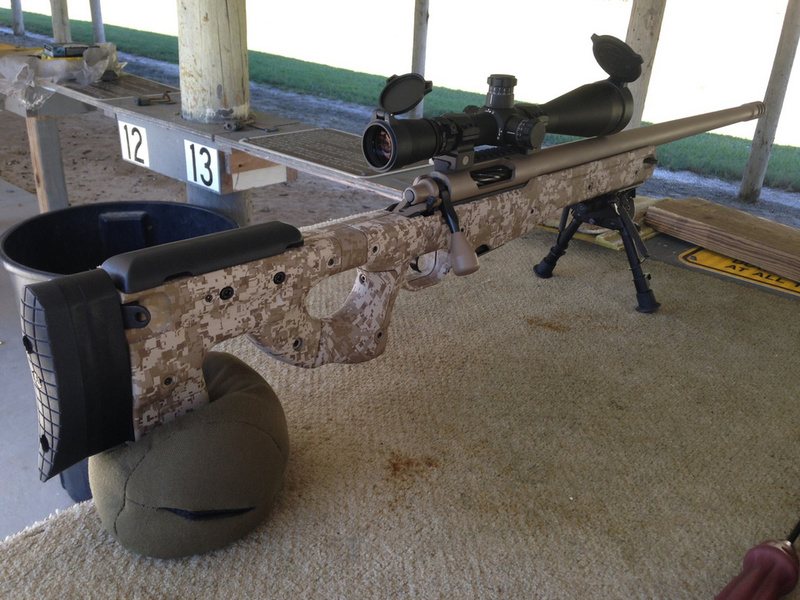 Ridiculous precision and practical functionality ensure your next custom rifle is the centerpiece of your collection. Whether for competition, tactical, or collection, we guarantee to exceed your expectations! We use fiberglass stocks with are hand-fitted and pillar bedded with Marine Tex. They are totally stable and immune to any weather conditions Mother Nature can throw at them.The barrel channel is free floated to ensure precision. 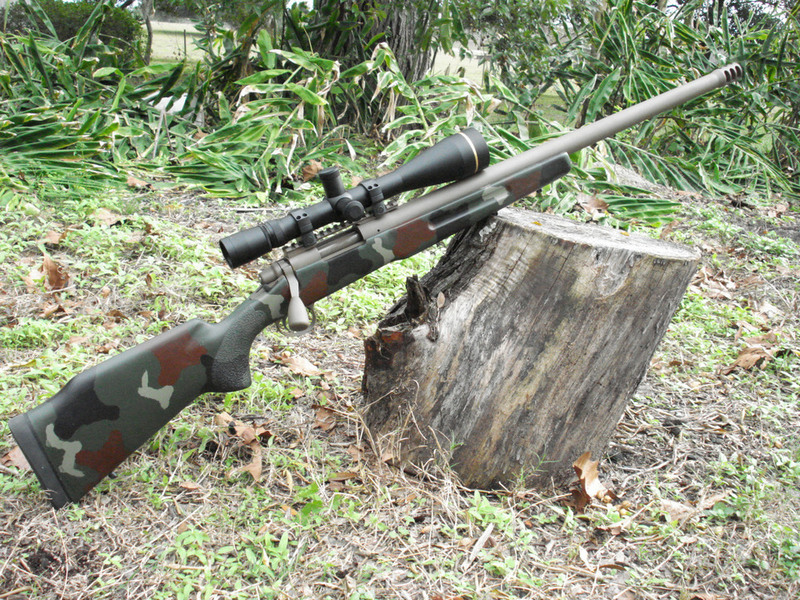 Adjustable cheekpieces and length of pull systems are available options and stocks can be selected from a multitude of colors and camo finishes. A match grade unit is fitted to each M40, carefully set at the factory to break like a glass rod – zero creep and zero overtravel… A pretty stock and great machining are worth like when it comes to range time without a great trigger and this trigger unit is just perfect! The pull wiehgt is set around 2.75lbs which is great for range and hunting use. Guaranteed ½ MOA or less at 100 yards for 3 shots with quoted ammo from bench. Certified serial numbered test target provided with each rifle. 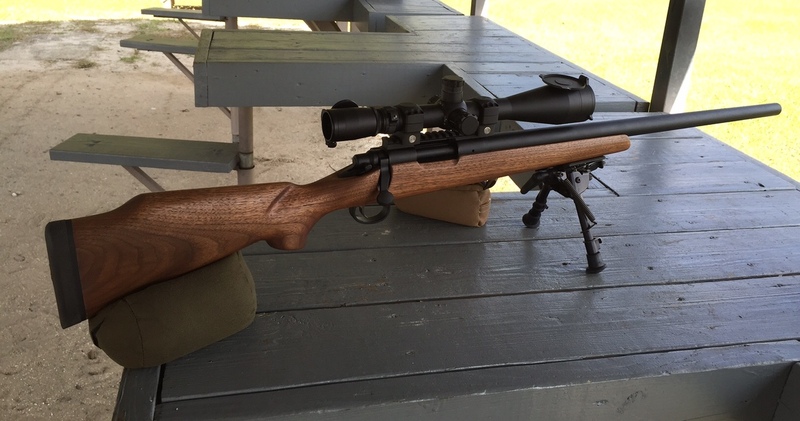 .223 Rem. ; 7.62NATO Match (.308 Winchester): .260 Rem. 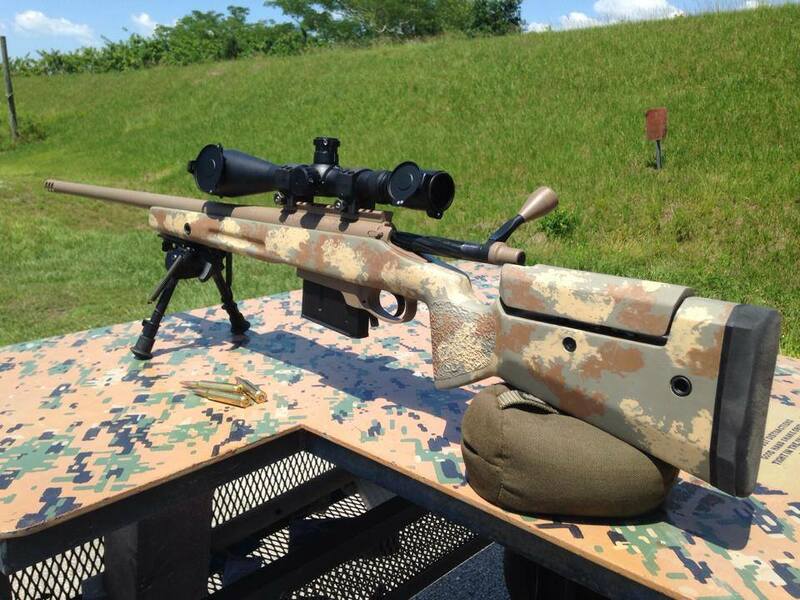 : 6.5×47 Lapua: 7mm08: .30-06 Springfield. Other standard calibers available upon request. 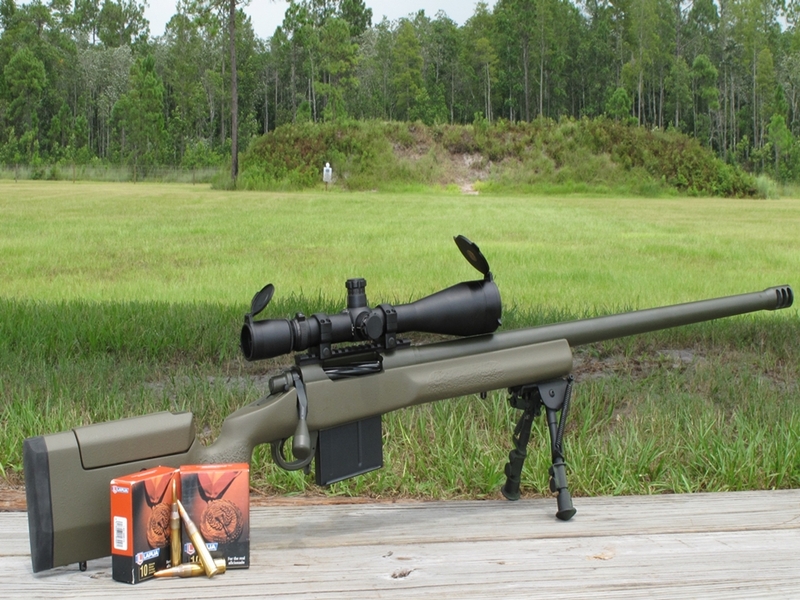 .300 Winchester Magnum: .300WSM, .338 Magnum and more!. The sky’s the limit! Tell us what you want and we’ll make the magic happen! Stainless steel benchrest quality. Each match grade barrel is lapped, by hand, to ensure a perfect mirror polish, and must have a maximum bore variation not to exceed 1/10,000th of an inch! Single point cut rifling ensure minimal stresses are exerted during the rifling process, and the barrels are also stress relieved cryogenically. Extreme Environment’ corrosion resistant finish standard on external metalwork. This finish hugely exceeds mil-spec requirements, breaking in excess of 6000hr salt spray resistance tests. Various colors are available to order. 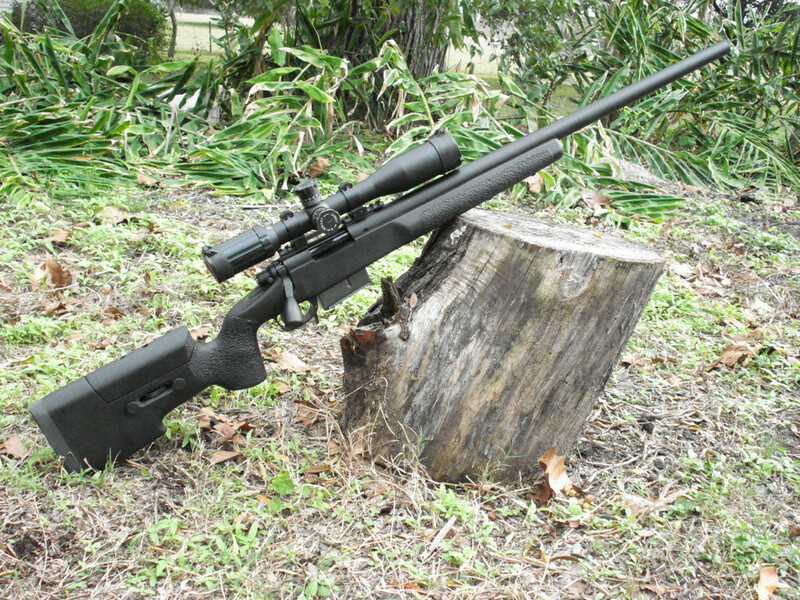 The tried and tested, battle- proven Remington 700 action is fully accurized. Match grade trigger unit – with zero creep & overtravel – breaks like a glass rod! A Precision ground stainless heavy-weight magnum recoil lug has been installed for improved alignment. 20MOA mil-std 1913 picatinny rail. Pillar bedded with free floating barrel, a must for superior precision.